Like them or not, LinkedIn Endorsements are here to stay. First let’s look at 7 steps to ensure that the endorsements you get enhance your profile rather than cheapen it. One of my connections Donna Svei wrote an article containing these 7 steps. I’ll quote them here in part and insert a link to her full article in case you want to read more. Click “Profile/Edit Profile” on LinkedIn’s main drop down menu. Scroll down to “Skills and Expertise” and click on the little blue pencil on the right-hand side of the page. Select “Add and Remove.” LinkedIn lets you display ten items in an attractive vertical display. Beyond ten, it goes to a cluttered horizontal display. Shudder. Limit yourself to no more than ten skills. Pick the ones you want to be hired to do. Delete the rest. Resist the urge to go beyond ten. It puts you at risk of looking like a Jack of All Trades and Master of None. Now click “Manage Endorsements.” Review who has endorsed you for each skill and uncheck people who don’t know enough about you to know whether or not you have that skill. Do it. You can always recheck them if it hurts too much a day or two from now. It won’t. Click “Save” to keep your changes. Scroll back up to the top of your profile and click “Done Editing” to make your changes public. Now to my 10 Random Thoughts on LinkedIn Endorsements. Each was a comment I made in a discussion thread in a LinkedIn Group, so if there is a little redundancy it is because all of the comments are on the same topic at different times. I think you will find that they are consistent and also contain a couple of “How to” hints. This topic is being thoroughly discussed in threads within numerous groups. Many people are concerned and/or confused about this new feature. Personally, I place more value on recommendations than on endorsements but I appreciate the endorsements I get. I only endorse people who I “know, like & trust” and even then I only endorse the skills that I know that they have through first hand experience. I edit out endorsements from people who could not possibly have any first hand knowledge of the skill in question. I Thank people for their endorsements and I will reciprocate if they list a skill that I have first hand knowledge of. I find the box that constantly asks me to endorse my connections intrusive and annoying but even so, I will sometimes scroll through for a few minutes and endorse the odd skill I can confirm. Every time I view a profile I am prompted to endorse their skills. I “X” out the ones I have no knowledge of before I endorse the one or two that are left. To answer your question, yes you can delete unwanted endorsements. Go to your profile and scroll down to your skills section. Go through your skills line by line. On the right hand side of the line is a little right arrow. If you click on that it will create a drop down box showing all of the people who have endorsed that skill. Scroll through them and choose to hide the people who you don’t wish to show up for that skill. You will have to go through each endorsed skill that way if you wish to eliminate one person who may have endorsed several skills. Endorsements can be an integral part of building your on-line brand image. While it is true there are some people out there “gaming the system”, if you maintain your endorsements with integrity and give them sparingly & only when you have first hand knowledge, the tool can be quite useful. Each one you get increases your credibility. Don’t go soliciting them though as LinkedIn is already doing that for you to an almost annoying degree. Use the laws of reciprocity and go give endorsements to people you know like and trust for skills that you have first hand knowledge that they have. Chances are they will reciprocate. If they endorse you for a skill that makes you uncomfortable, go edit it out. Manage it properly and it wont look like you and a few friends all endorsed each other. To me, LinkedIn is just a digital representation of “working the room”. You don’t do anything here that you wouldn’t do at your local Chamber of Commerce Luncheon. Your expertise and business acumen will garner you all the recommendations and/or endorsements that you need. The vast majority of my LinkedIn connections are people who I know like and trust. I meet with them face to face as often as possible. The exceptions are industry cohorts from around the world whose work I admire (or they mine) that I message with regularly and follow and sometimes share their posts. I rarely solicit connections any more and don’t accept invitations from people I don’t know unless someone I know refers them. My little on-line community is small and entrepreneurial in nature and I consciously try to keep it that way. Once a year I go through and weed out some connections and some groups. I recently had a brand new connection who was referred to me on-line endorse me for every skill I have. I have had no opportunity to interact with this person so they cannot possibly know if I own these skills or not. That is the type of endorsement I delete. I am not certain if I want my name associated with this person. I place much more value on the unsolicited recommendations I received from my peers, clients and students than I do on endorsements although I do appreciate those as well. Also, LinkedIn is auto prompting for endorsements and sometimes they are for skills that the person hasn’t even listed or claimed to have. I delete skills I don’t know anything about before I endorse anybody. To Manage your Endorsements, LinkedIn does give you a measure of control though. Go to edit profile. Scroll down to your endorsements and click on the edit icon. It will open a new window. You can then click on add/remove to take skills in or out OR click on Manage Endorsements which will create a drop down window with the pictures of everyone who has endorsed you for each particular skill. If you feel that this person should not be endorsing that particular skill just click on the little green arrow box and their picture will disappear from next to that endorsement. Now LinkedIn is auto prompting people to endorse us for skills it THINKS we should have. Lately I have received endorsements from well-meaning colleagues, friends & connections for skills I do not possess. I’m off to “Manage Endorsements” again to try to correct that. 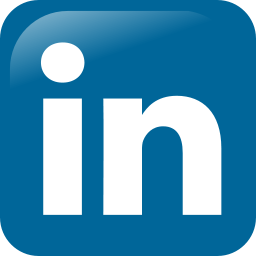 LinkedIn prompts us automatically for endorsements at every opportunity, so there are a lot of unsolicited endorsements floating around out there. I have had participants in my seminars who have said things like “I just hit endorse all 4 so it will just go away” (it doesn’t, it brings up another 4). Others out there are following “The law of reciprocity” endorsing arms length connections in the hopes that you will feel obligated to endorse them back. That’s a form of “gaming the system”. I discourage both courses of action. You should only endorse people you know and you should only endorse skills that you have personally observed or experienced. I was endorsed for “Public Speaking” by someone who has never heard me speak. Where’s the credibility in that endorsement? I go to Edit Profile, go to my skills section, click edit and select “Manage Endorsements” and quietly remove the incorrect ones. The only difficulty with that is that the person who endorsed you will get auto prompted again in the future to endorse you for the same skill, so maybe ignoring it is easier. Well some people who endorse you are hoping for reciprocity. They endorse in the hopes of receiving endorsements back & thereby beefing up their own profiles. It is a form of “Gaming the system”. I say “Thank You” for the endorsements but I only endorse someone back if they have a verifiable skill that I have witnessed in some form. I endorse people who I know, like & trust. I ignore the obnoxious auto prompts from LinkedIn and go directly to the skills section on the person’s profile and select the appropriate skills to endorse. That is why I cherish the few recommendations that I have more than the hundreds of endorsements. People cared enough about what I do to sit down and compose a fitting recommendation and post it. So now you know some of my thoughts on LinkedIn Endorsements. Every group I have seen this debated in has had lengthy threads expressing diverse opinions. It will be interesting to see what kind of comments (if any) that they generate here.